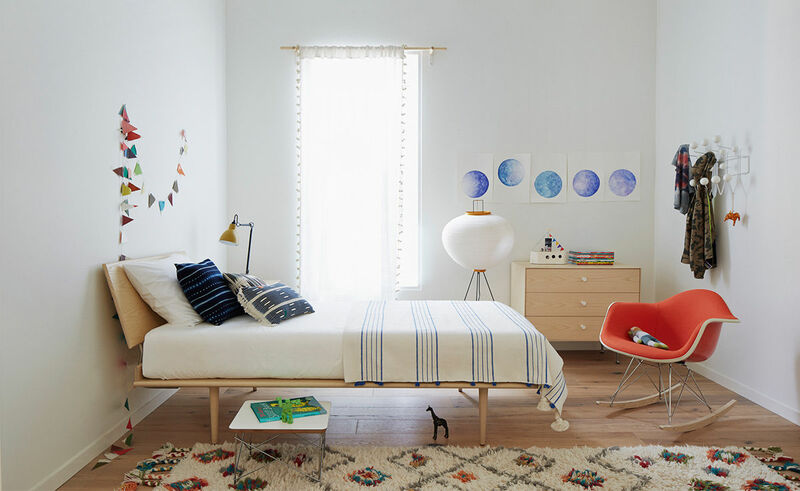 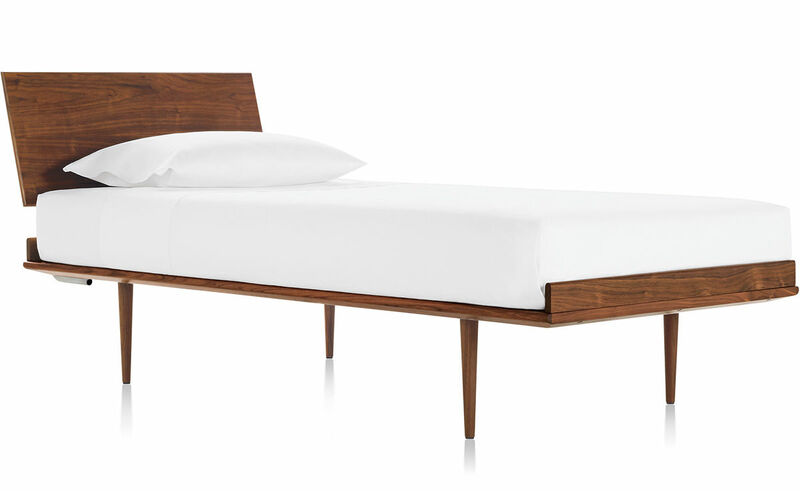 Representative of George Nelson's timeless, human-centered approach to design, the Nelson Thin Edge Bed is as at home in today's bedrooms as it was when first introduced in 1954. 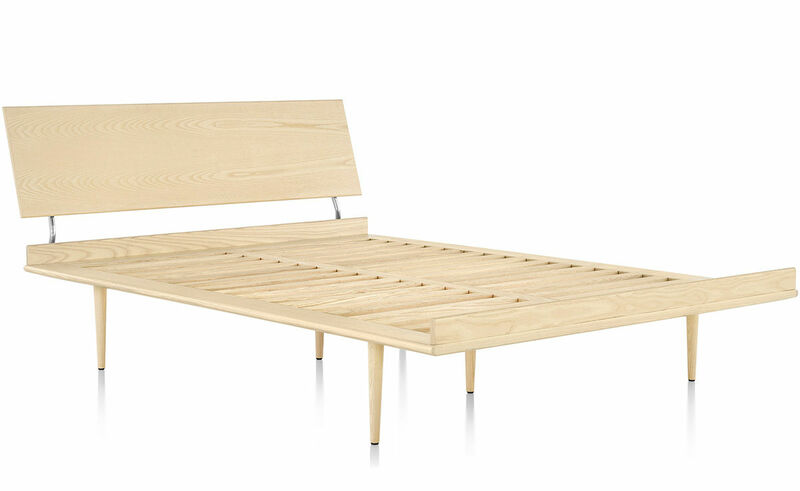 With a slim, horizontal profile, efficient and precise detailing, and expert woodcraft , the Nelson Thin Edge bed brings elegant minimalism to the bedroom once more. 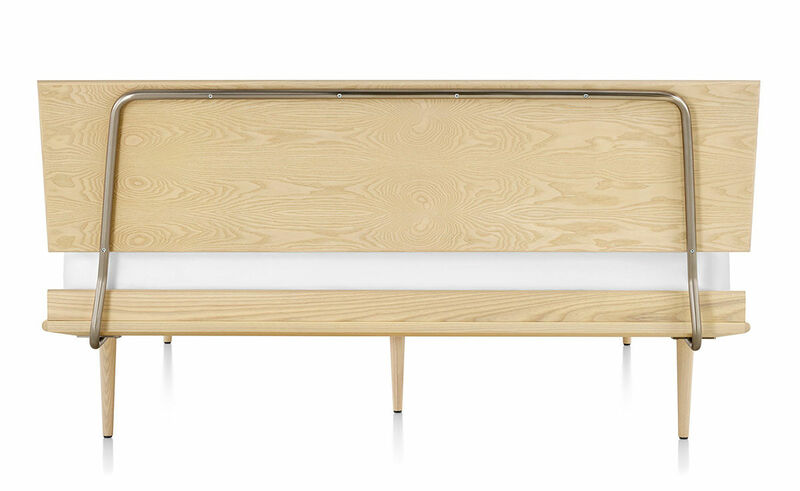 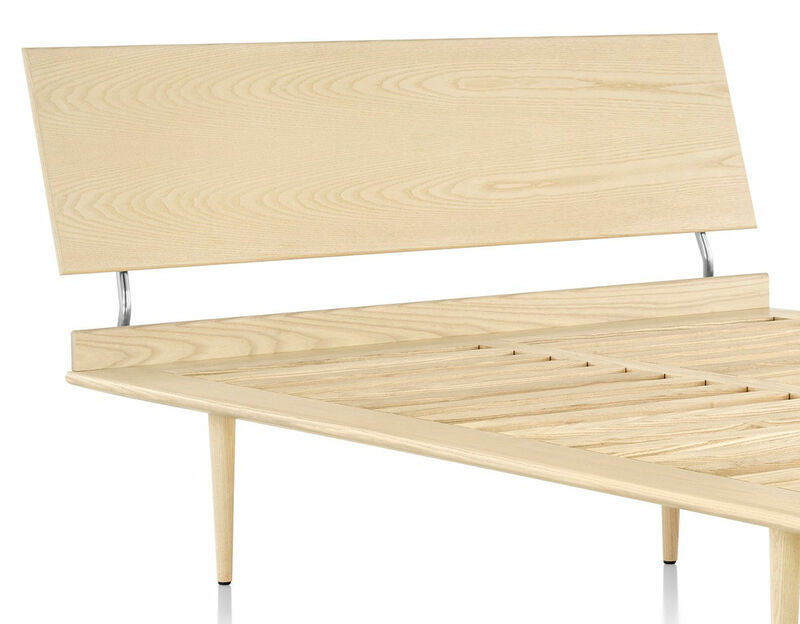 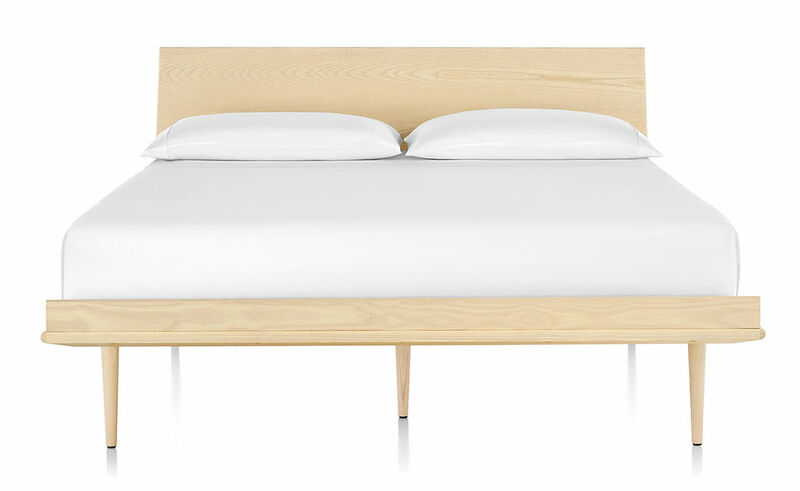 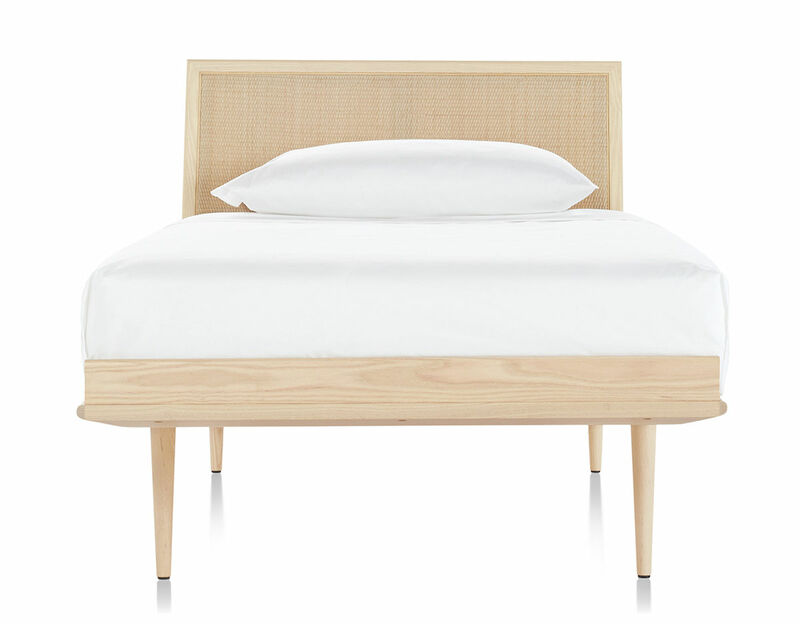 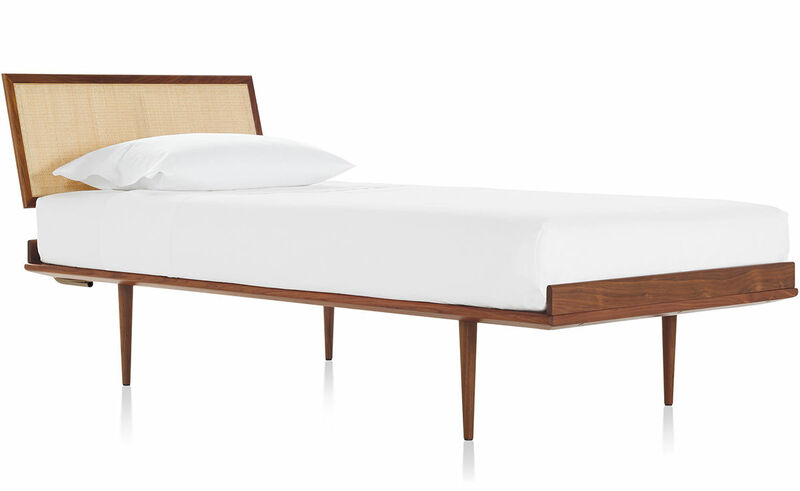 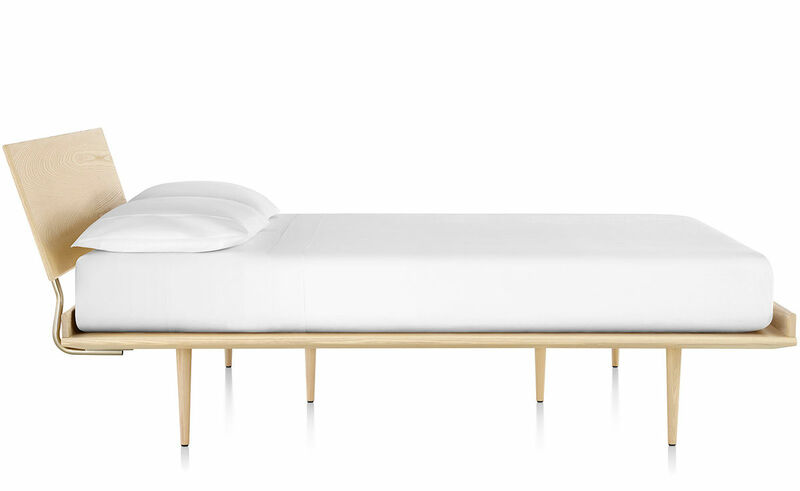 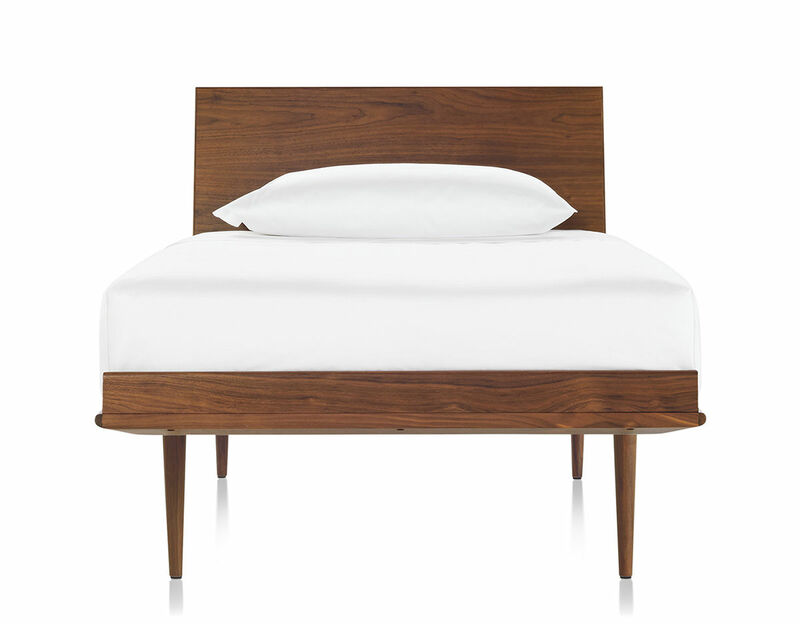 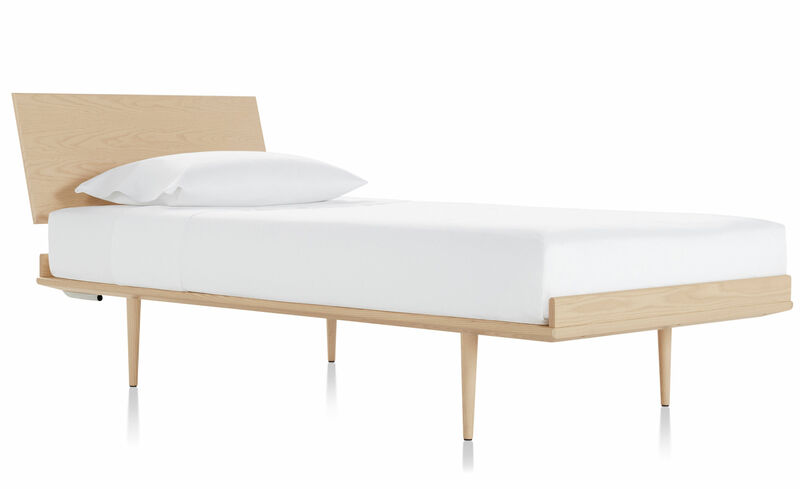 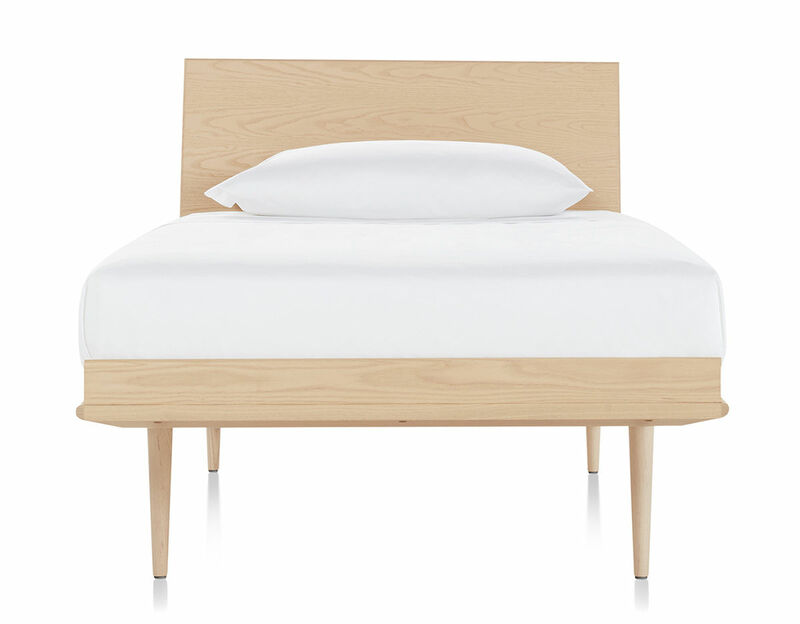 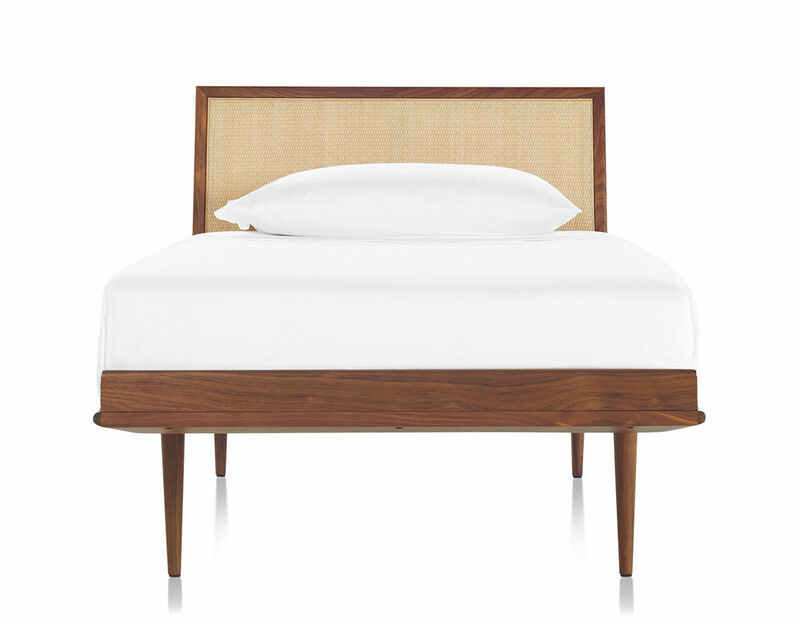 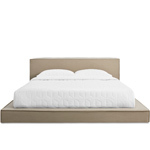 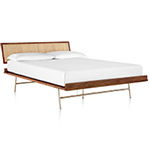 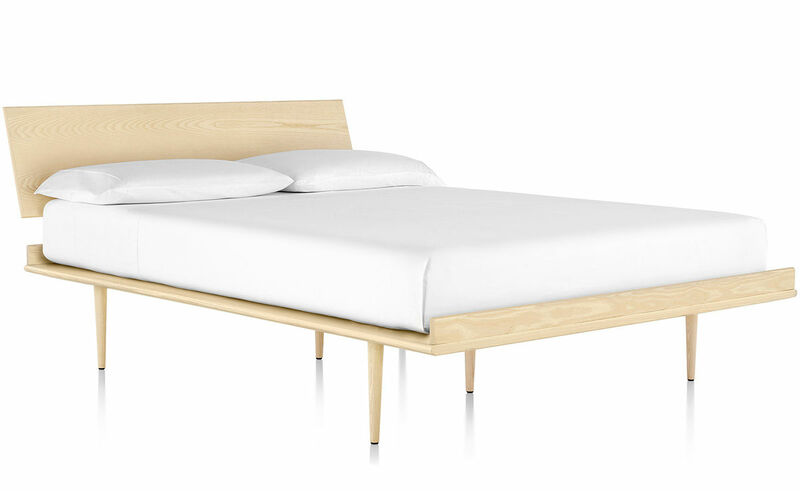 The Thin edge bed is available in a walnut or white ash frame with either a natural cane or veneer headboard. 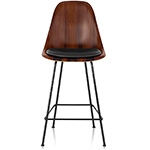 The legs can be specified with the original H-Frame style in satin chrome metal or tapered wood in walnut or white ash. 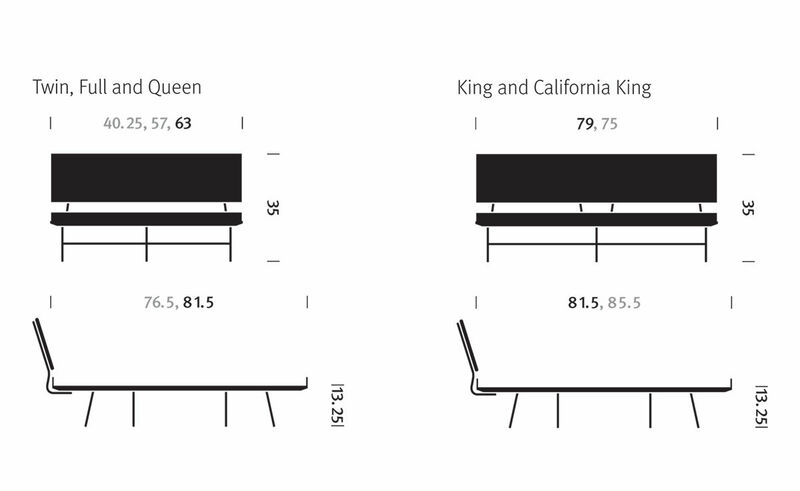 Full, queen, king and california king beds have extra support legs for the center. 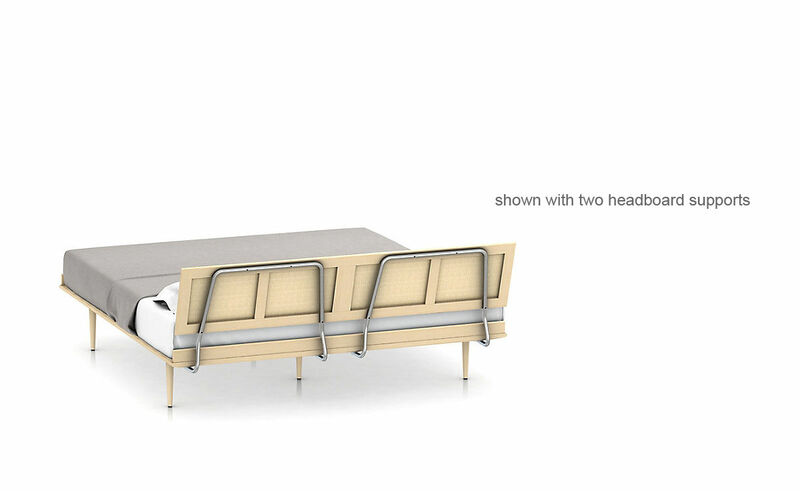 Twin, full and queen sizes come with one headboard support, while king & California king options come with two headboard supports. Mattress & bedding not included. 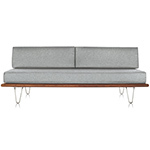 Ships ready to assemble. 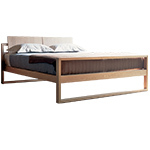 $2,495.00 + free threshold delivery in the continental U.S.